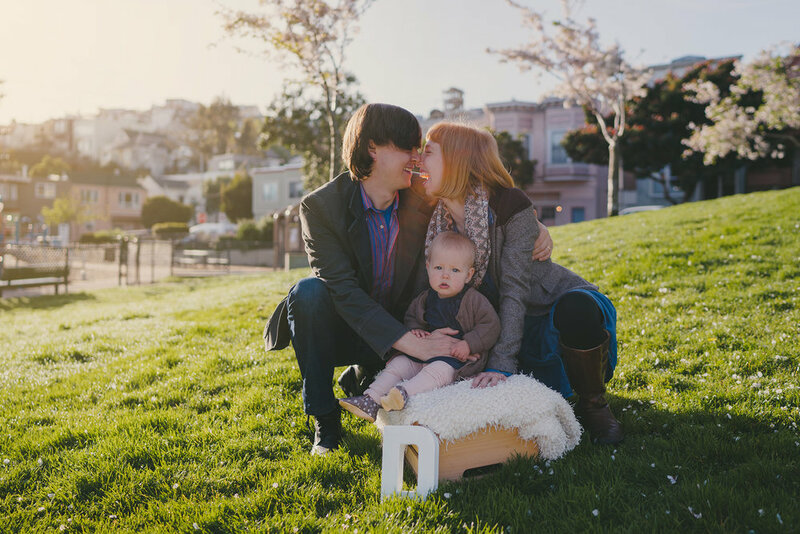 We met bright and early at Precita Park before 8am and I absolutely loved spending time with this beautiful family on a sunny San Francisco day. 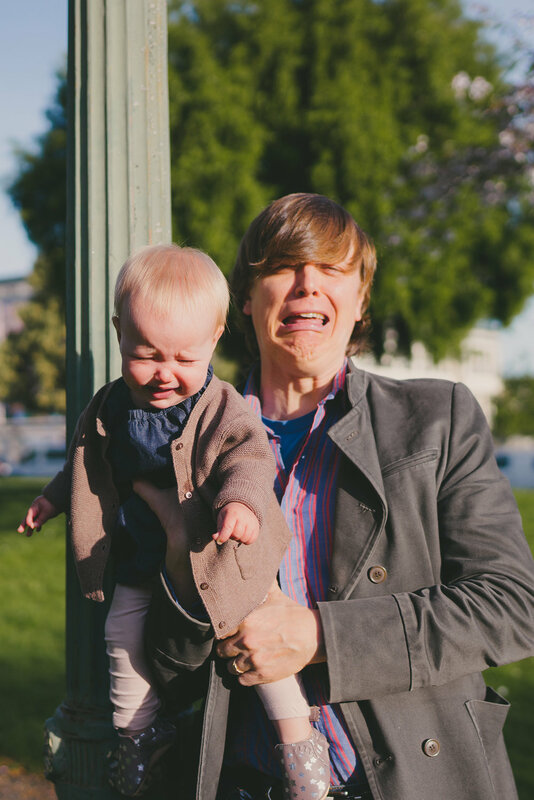 Delia is 9 months old and her adorable parents, Ilyse and Justin had a wonderful idea to give her some portraits in a neighborhood she loves. Lucky for us, the trees were blossoming and we got tons of smiles (with few fun outtakes at the end of this post). We had several friendly neighborhood folks stop by to comment on how amazing this family looked, and they had a ton of fun making baby Delia laugh -- it turns out this lil girl is a doggy person! And when she wasn't feeling the camera, daddy played along... :) Stay silly, beautiful fam!